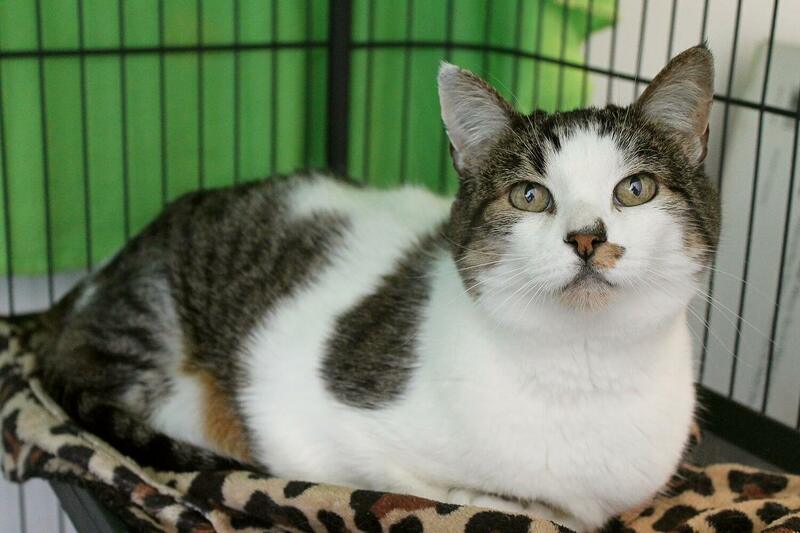 My name is Wendy, and I am an incredibly personable 7-year-old lady cat that can’t wait to meet you! I am a total sweetheart and just want to be wherever you are. Although I’m still pretty new here at Pixie, I’ve adjusted very quickly and am always looking for new people who want to shower me with attention! At 7 years, I still have a lot of playfulness and personality, but I also have my mellow side and take naptime very seriously, so I will make a wonderful companion for just about anyone. I’m very healthy and hearty and overall a very low-maintenance kitty. 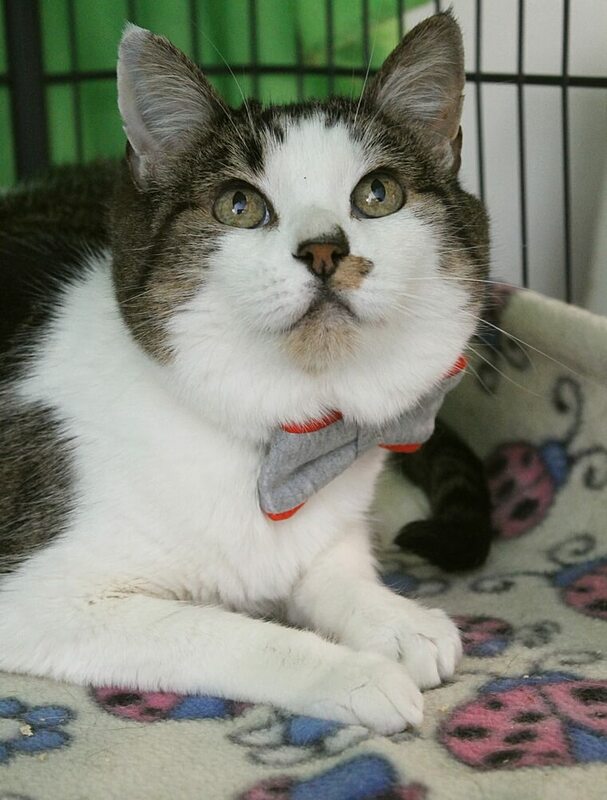 Here at Pixie, I don’t seem to be a huge fan of other kitties but I’m pretty laid back, so could probably tolerate an older, mellow kitty that would allow me my space. I also don’t seem to mind doggies too much, though I don’t have much history with them either. I’m really all about my humans, big or small, and I love to snuggle and give them lots of licks. My former owner was very sad to give me up when she lost her housing, but said I was very dog-like and an overall fabulous cat. I think you’ll agree! Won’t you come down to Pixie to meet me? I think we’ll fall in love! I come to you fixed, vaccinated, and micro-chipped for an adoption fee of $100.